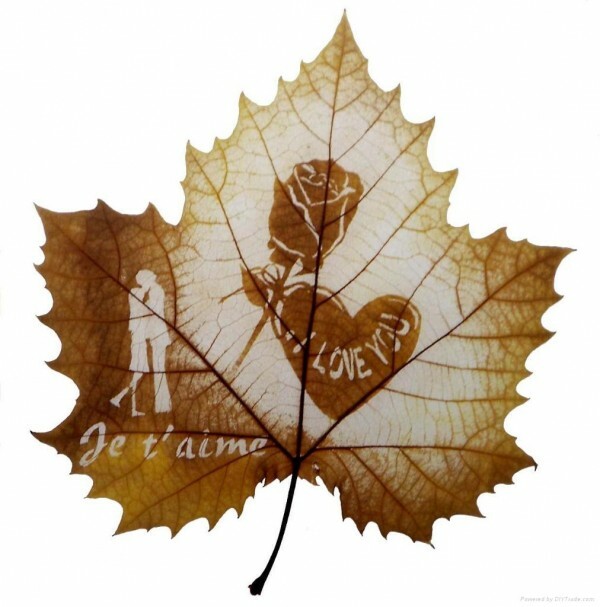 Leaf carving requires precision, skill and steady hands, as the surface of the leaf needs to be removed without damaging the rest of it. 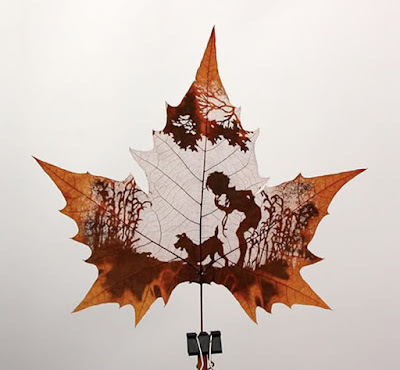 Mostly leaves of Chinar tree are used; these resemble maple leaves and are well suited for sculpting. 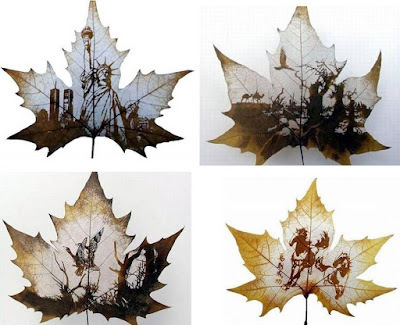 Their apt shape and texture makes it perfect for the artwork. 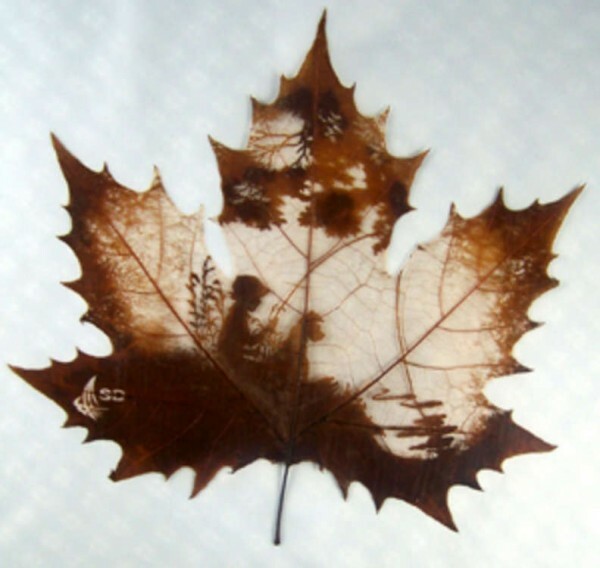 It's quite a lengthy process that runs into several months and involves drying, boiling, shaving and peeling and again drying. 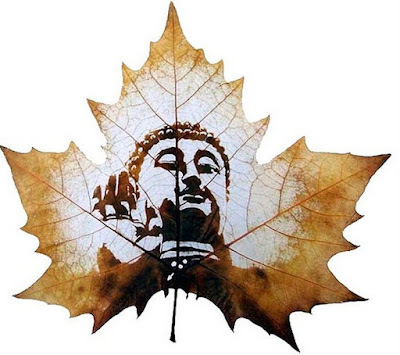 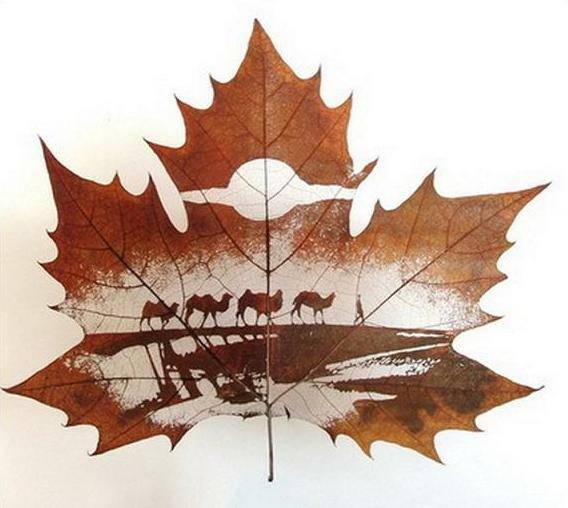 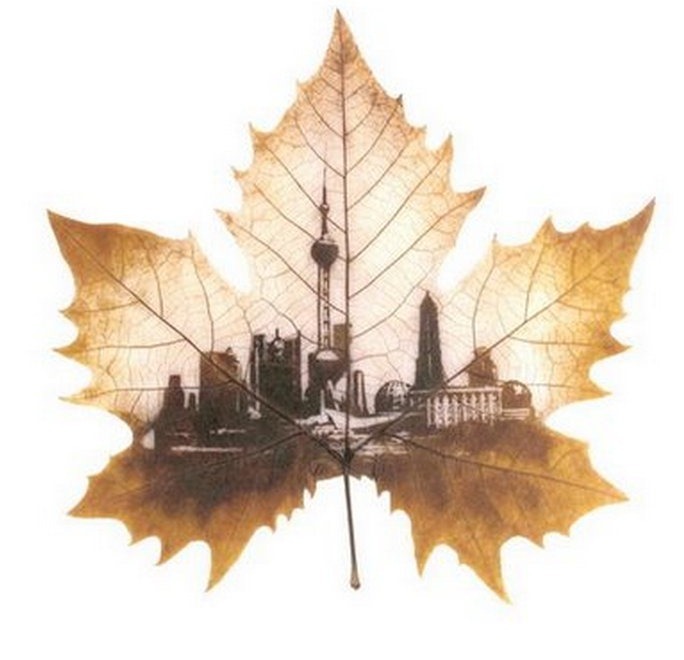 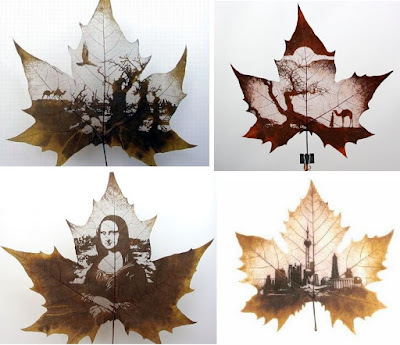 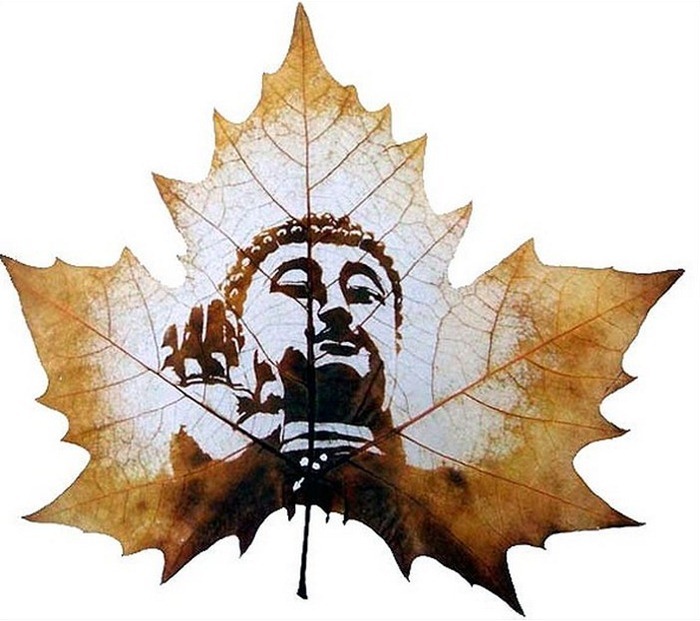 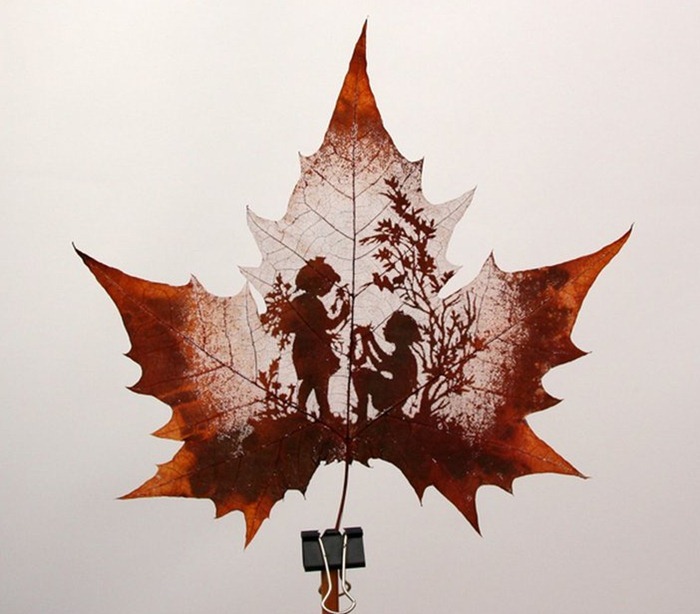 The artist carves the leaf by hand using tools, and develops a landscape or a picture. As these carvings are made from actual leaf, no two artworks are same.